For the 2019-20 academic year, registration will be held on a first come, first serve basis. Please share this information with your friends and relatives who have children who will turn 2.9 and older by August 31, 2019. Priority will be given to the siblings of our students and once classes are full waiting lists will be created. 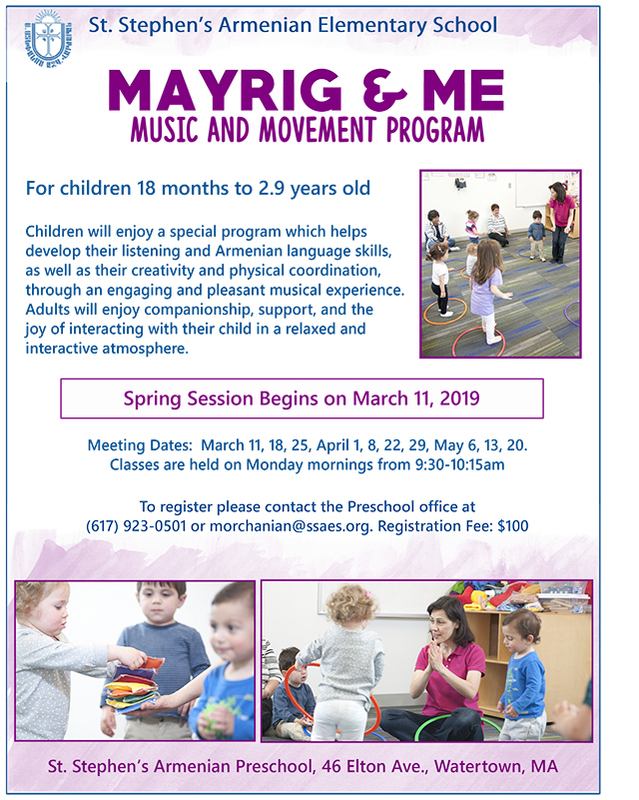 To schedule an appointment, please contact the preschool director, Mrs. Maral Orchanian at (617) 923-0501. Save the Date: The School's 35th Anniversary Celebration to be held on November 16, 2019. 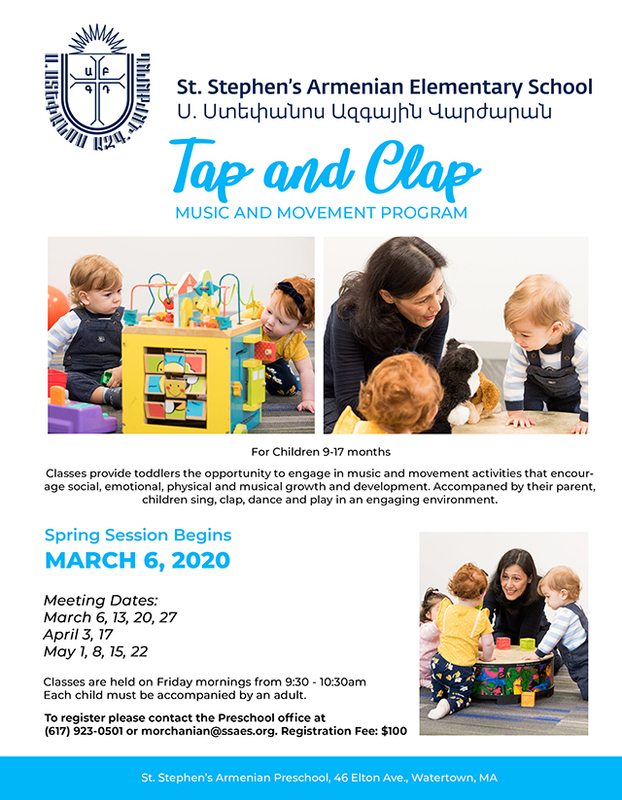 Tap and Clap Program for children 9 months to 17 months Mayrig & Me Program for children 18 months to 2.9 years old We've switched from Amazon Smiles to a new Amazon program that will donate up to 10% of eligible purchases to SSAES! Bookmark the link http://amzn.to/2dkuSr2 and support SSAES every time you shop.